Zotev V1,Phillips R, Yuan H, Misaki M, Bodurka J. Neuroimage. 2014 Jan 15;85 Pt 3:985-95. doi: 10.1016/j.neuroimage.2013.04.126. Epub 2013 May 11. Abstract. Neurofeedback is a promising approach for non-invasive modulation of human brain activity with applications for treatment of mental disorders and enhancement of brain performance. Neurofeedback techniques are commonly based on either electroencephalography (EEG) or real-time functional magnetic resonance imaging (rtfMRI). Advances in simultaneous EEG-fMRI have made it possible to combine the two approaches. Here we report the first implementation of simultaneous multimodal rtfMRI and EEG neurofeedback (rtfMRI-EEG-nf). It is based on a novel system for real-time integration of simultaneous rtfMRI and EEG data streams. We applied the rtfMRI-EEG-nf to training of emotional self-regulation in healthy subjects performing a positive emotion induction task based on retrieval of happy autobiographical memories. The participants were able to simultaneously regulate their BOLD fMRI activation in the left amygdala and frontal EEG power asymmetry in the high-beta band using the rtfMRI-EEG-nf. Our proof-of-concept results demonstrate the feasibility of simultaneous self-regulation of both hemodynamic (rtfMRI) and electrophysiological (EEG) activities of the human brain. They suggest potential applications of rtfMRI-EEG-nf in the development of novel cognitive neuroscience research paradigms and enhanced cognitive therapeutic approaches for major neuropsychiatric disorders, particularly depression. Biofeedback-based training for stress management in daily hassles: an intervention study. Abstract. BACKGROUND: The day-to-day causes of stress are called daily hassles. Daily hassles are correlated with ill health. Biofeedback (BF) is one of the tools used for acquiring stress-coping skills. However, the anatomical correlates of the effects of BF with long training periods remain unclear. In this study, we aimed to investigate this. METHODS: PARTICIPANTS WERE ASSIGNED RANDOMLY TO TWO GROUPS: the intervention group and the control group. Participants in the intervention group performed a biofeedback training (BFT) task (a combination task for heart rate and cerebral blood flow control) every day, for about 5 min once a day. The study outcomes included MRI, psychological tests (e.g., Positive and Negative Affect Schedule, Center for Epidemiologic Studies Depression Scale, and Brief Job Stress Questionnaire), and a stress marker (salivary cortisol levels) before (day 0) and after (day 28) the intervention. RESULTS: We observed significant improvements in the psychological test scores and salivary cortisol levels in the intervention group compared to the control group. Furthermore, voxel-based morphometric analysis revealed that compared to the control group, the intervention group had significantly increased regional gray matter (GM) volume in the right lateral orbitofrontal cortex, which is an anatomical cluster that includes mainly the left hippocampus, and the left subgenual anterior cingulate cortex. The GM regions are associated with the stress response, and, in general, these regions seem to be the most sensitive to the detrimental effects of stress. CONCLUSIONS: Our findings suggest that our BFT is effective against the GM structures vulnerable to stress. Real-time functional MRI neurofeedback: a tool for psychiatry. Abstract. PURPOSE OF REVIEW: The aim of this review is to provide a critical overview of recent research in the field of neuroscientific and clinical application of real-time functional MRI neurofeedback (rtfMRI-nf). RECENT FINDINGS: RtfMRI-nf allows self-regulating activity in circumscribed brain areas and brain systems. Furthermore, the learned regulation of brain activity has an influence on specific behaviors organized by the regulated brain regions. Patients with mental disorders show abnormal activity in certain regions, and simultaneous control of these regions using rtfMRI-nf may affect the symptoms of related behavioral disorders. SUMMARY: The promising results in clinical application indicate that rtfMRI-nf and other metabolic neurofeedback, such as near-infrared spectroscopy, might become a potential therapeutic tool. Further research is still required to examine whether rtfMRI-nf is a useful tool for psychiatry because there is still lack of knowledge about the neural function of certain brain systems and about neuronal markers for specific mental illnesses. Mobile biofeedback of heart rate variability in patients with diabetic polyneuropathy: a preliminary study. Abstract. Biofeedback of heart rate variability (HRV) was applied to patients with diabetic polyneuropathy using a new mobile device allowing regularly scheduled self-measurements without the need of visits to a special autonomic laboratory. Prolonged generation of data over an eight-week period facilitated more precise investigation of cardiac autonomic function and assessment of positive and negative trends of HRV parameters over time. Statistical regression analyses revealed significant trends in 11 of 17 patients, while no significant differences were observed when comparing autonomic screening by short-term HRV and respiratory sinus arrhythmia at baseline and after the 8 weeks training period. Four patients showed positive trends of HRV parameters despite the expected progression of cardiac autonomic dysfunction over time. Patient compliance was above 50% in all but two patients. The results of this preliminary study indicate a good practicality of the handheld device and suggest a potential positive effect on cardiac autonomic neuropathy in patients with type 2 diabetes. Evaluation of neurofeedback in ADHD: The long and winding road. Among the clinical applications of neurofeedback, most research has been conducted in ADHD. As an introduction a short overview of the general history of neurofeedback will be given, while the main part of the paper deals with a review of the current state of neurofeedback in ADHD. A meta-analysis on neurofeedback from 2009 found large effect sizes for inattention and impulsivity and medium effects sizes for hyperactivity. Since 2009 several new studies, including 4 placebo-controlled studies, have been published. These latest studies are reviewed and discussed in more detail. The review focuses on studies employing 1) semi-active, 2) active, and 3) placebo-control groups. The assessment of specificity of neurofeedback treatment in ADHD is discussed and it is concluded that standard protocols such as theta/beta, SMR and slow cortical potentials neurofeedback are well investigated and have demonstrated specificity. The paper ends with an outlook on future questions and tasks. It is concluded that future controlled clinical trials should, in a next step, focus on such known protocols, and be designed along the lines of learning theory. Real-Time fMRI Pattern Decoding and Neurofeedback Using FRIEND: An FSL-Integrated BCI Toolbox. Abstract. The demonstration that humans can learn to modulate their own brain activity based on feedback of neurophysiological signals opened up exciting opportunities for fundamental and applied neuroscience. Although EEG-based neurofeedback has been long employed both in experimental and clinical investigation, functional MRI (fMRI)-based neurofeedback emerged as a promising method, given its superior spatial resolution and ability to gauge deep cortical and subcortical brain regions. In combination with improved computational approaches, such as pattern recognition analysis (e.g., Support Vector Machines, SVM), fMRI neurofeedback and brain decoding represent key innovations in the field of neuromodulation and functional plasticity. Expansion in this field and its applications critically depend on the existence of freely available, integrated and user-friendly tools for the neuroimaging research community. Here, we introduce FRIEND, a graphic-oriented user-friendly interface package for fMRI neurofeedback and real-time multivoxel pattern decoding. The package integrates routines for image preprocessing in real-time, ROI-based feedback (single-ROI BOLD level and functional connectivity) and brain decoding-based feedback using SVM. FRIEND delivers an intuitive graphic interface with flexible processing pipelines involving optimized procedures embedding widely validated packages, such as FSL and libSVM. In addition, a user-defined visual neurofeedback module allows users to easily design and run fMRI neurofeedback experiments using ROI-based or multivariate classification approaches. FRIEND is open-source and free for non-commercial use. Processing tutorials and extensive documentation are available. Neurofeedback training aimed to improve focused attention and alertness in children with ADHD: a study of relative power of EEG rhythms using custom-made software application. Abstract. Neurofeedback is a nonpharmacological treatment for attention-deficit hyperactivity disorder (ADHD). We propose that operant conditioning of electroencephalogram (EEG) in neurofeedback training aimed to mitigate inattention and low arousal in ADHD, will be accompanied by changes in EEG bands' relative power. Patients were 18 children diagnosed with ADHD. The neurofeedback protocol ("Focus/Alertness" by Peak Achievement Trainer) has a focused attention and alertness training mode. The neurofeedback protocol provides one for Focus and one for Alertness. This does not allow for collecting information regarding changes in specific EEG bands (delta, theta, alpha, low and high beta, and gamma) power within the 2 to 45 Hz range. Quantitative EEG analysis was completed on each of twelve 25-minute-long sessions using a custom-made MatLab application to determine the relative power of each of the aforementioned EEG bands throughout each session, and from the first session to the last session. Additional statistical analysis determined significant changes in relative power within sessions (from minute 1 to minute 25) and between sessions (from session 1 to session 12). Analysis was of relative power of theta, alpha, low and high beta, theta/alpha, theta/beta, and theta/low beta and theta/high beta ratios. Additional secondary measures of patients' post-neurofeedback outcomes were assessed, using an audiovisual selective attention test (IVA + Plus) and behavioral evaluation scores from the Aberrant Behavior Checklist. Analysis of data computed in the MatLab application, determined that theta/low beta and theta/alpha ratios decreased significantly from session 1 to session 12, and from minute 1 to minute 25 within sessions. The findings regarding EEG changes resulting from brain wave self-regulation training, along with behavioral evaluations, will help elucidate neural mechanisms of neurofeedback aimed to improve focused attention and alertness in ADHD. What Color is My Arm? Changes in Skin Color of an Embodied Virtual Arm Modulates Pain Threshold. It has been demonstrated that visual inputs can modulate pain. However, the influence of skin color on pain perception is unknown. Red skin is associated to inflamed, hot and more sensitive skin, while blue is associated to cyanotic, cold skin. We aimed to test whether the color of the skin would alter the heat pain threshold. To this end, we used an immersive virtual environment where we induced embodiment of a virtual arm that was co-located with the real one and seen from a first-person perspective. Virtual reality allowed us to dynamically modify the color of the skin of the virtual arm. In order to test pain threshold, increasing ramps of heat stimulation applied on the participants' arm were delivered concomitantly with the gradual intensification of different colors on the embodied avatar's arm. We found that a reddened arm significantly decreased the pain threshold compared with normal and bluish skin. This effect was specific when red was seen on the arm, while seeing red in a spot outside the arm did not decrease pain threshold. These results demonstrate an influence of skin color on pain perception. This top-down modulation of pain through visual input suggests a potential use of embodied virtual bodies for pain therapy. NeuroMetrix of out of Waltham, MA received FDA clearance for its SENSUS Pain Management System to be used by patients during sleep. This is the first transcutaneous electrical nerve stimulation system to receive a sleep indication from the FDA for pain control. The device is designed for use by diabetics and others with chronic pain in the legs and feet. It’s worn around one or both legs and delivers an electrical current to disrupt pain signals being sent up to the brain. Cross-Brain Neurofeedback: Scientific Concept and Experimental Platform. Abstract. The present study described a new type of multi-person neurofeedback with the neural synchronization between two participants as the direct regulating target, termed as "cross-brain neurofeedback." As a first step to implement this concept, an experimental platform was built on the basis of functional near-infrared spectroscopy, and was validated with a two-person neurofeedback experiment. 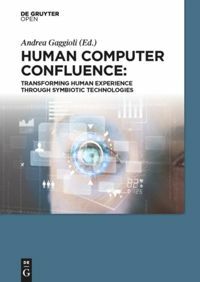 This novel concept as well as the experimental platform established a framework for investigation of the relationship between multiple participants' cross-brain neural synchronization and their social behaviors, which could provide new insight into the neural substrate of human social interactions. Using Music as a Signal for Biofeedback. Abstract. Studies on the potential benefits of conveying biofeedback stimulus using a musical signal have appeared in recent years with the intent of harnessing the strong effects that music listening may have on subjects. While results are encouraging, the fundamental question has yet to be addressed, of how combined music and biofeedback compares to the already established use of either of these elements separately. This experiment, involving young adults (N=24), compared the effectiveness at modulating participants' states of physiological arousal of each of the following conditions: A) listening to pre-recorded music, B) sonification biofeedback of the heart rate, and C) an algorithmically modulated musical feedback signal conveying the subject's heart rate. Our hypothesis was that each of the conditions (A), (B) and (C) would differ from the other two in the extent to which it enables participants to increase and decrease their state of physiological arousal, with (C) being more effective than (B), and both more than (A). Several physiological measures and qualitative responses were recorded and analyzed. Results show that using musical biofeedback allowed participants to modulate their state of physiological arousal at least equally well as sonification biofeedback, and much better than just listening to music, as reflected in their heart rate measurements, controlling for respiration-rate. Our findings indicate that the known effects of music in modulating arousal can therefore be beneficially harnessed when designing a biofeedback protocol.